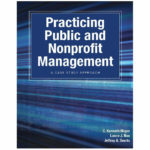 Public administration books, nonprofit management book, and human resource management books, case studies and resources for colleges and universities. The Craft of Public Administration, 11th edition, practically teaches itself. The Craft of Public Administration, is thoroughly revised, updated, and expanded to reflect the growing demand for an introductory textbook that joins in a relevant and practical manner the content of the often mutually reinforcing areas of public administration and nonprofit management. The 11th edition continues to provide the classic collection of essential leadership and administrative notions, theories, and techniques that have formed the academic basis for generations of students majoring in public administration, public policy and nonprofit management. Understanding the need for administrative systems that work effectively in today’s rapidly changing world is the strength of this edition of The Craft of Public Administration. In order for a system of public administration to do good for the public, it must be built on the knowledge, training and experiences of past generations. The text emphasizes that students of public administration and nonprofit organization management must be nimble, flexible and creative to deal with change, but still work in a traditional framework of stability, fairness and equality that is expected of our administrative structures and processes. This TURNKEY version of The Craft of Public Administration offers the following instructor friendly resources. We live in a world of change. Dramatic change. At the international level the impact of globalization, economic instability and the threat of terrorism and decades long military conflicts impact almost every corner of the globe. Overlaying this is the impact of climate change, a growing domestic anti-tax, anti-government movement and extraordinary population changes with aging baby boomers, emerging millennials and dramatic growth in diversity. Understanding the need for administrative systems that work effectively in this sea of change is the strength of this edition of The Craft of Public Administration. This text is designed to help young practitioners do well in public administration in a time of great change and stress. It recognizes that for a system of public administration to do good for the public it must be built on the knowledge, training and experiences of generations past. It understands that students of public administration must be nimble, flexible and creative to deal with change, but still work in a traditional framework of stability, fairness and equality that is expected of our administrative structures and processes. The Craft of Public Administration, 11th edition continues to provide a classic collection of the essential leadership and administrative “notions,” theories, issues and techniques that have formed the academic basis for a generation of students majoring in public administration and public policy. Building on this sound tradition, this edition is thoroughly revised, updated and enlarged to reflect the growing demand for an introductory textbook that joins in a relevant and practical manner the content of the increasingly mutually reinforcing areas of public administration and nonprofit administration. 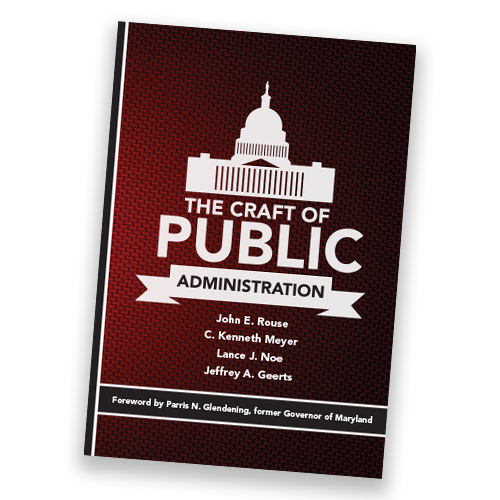 The Craft of Public Administration, 11th edition will help a new generation of public administrators achieve those aspirations even in this time of dramatic change. 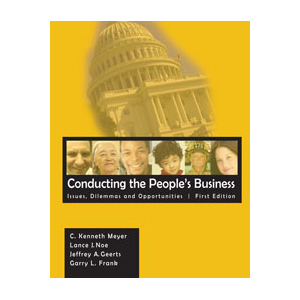 Kenneth Meyer is an author of nearly a dozen books and 100 scholarly articles on public personnel management, public management practice, violence in American society, public administration and public policy. During his 37 years of teaching at the university level, he has taught more than 45 diverse courses for the public administration, community planning and nonprofit management field. Among these courses is an international award-winning comparative public management and public policy class incorporating a European study abroad component. As an invited speaker, presenter and host for more than 50 presentations around the world, C. Kenneth Meyer keeps an active schedule speaking and consulting throughout North America, Europe and Asia. Lance J. Noe contributes extensive teaching and consulting experience in state and local government to The Craft of Public Administration. He directs and facilitates public management, private sector, and non-profit coursework in both professional certificate and graduate programs at Drake University. Jeffrey A. Geerts has been a leader in policy development and implementation while working for the Iowa Economic Development Authority, Iowa Department of Natural Resources and Iowa Senate. Mr. Geerts is currently the Special Projects Manager for the Iowa Economic Development Authority where he coordinates several nationally recognized rural innovative sustainable community demonstration projects. Since 1998, he has co-instructed an international award winning graduate international comparative policy class that has studied in-depth best practices and model programs and policies throughout the United States and Europe. Mr. Geerts brings to these publications his experience serving on boards of directors of state and national non-profits. Instructors may request an exam copy of texts being considered for course adoption. These copies are licensed and may not be sold or transferred to a third party. Instructors alternatively may request a digital inspection copy. 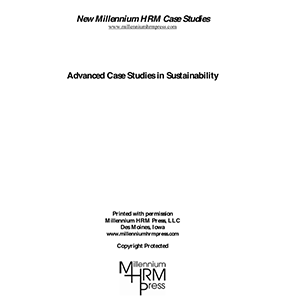 Requests for an exam copy may be emailed to sales@millenniumhrmpress.com or faxed to 206-600-4619. Exam copy requests should be sent on departmental letterhead and include shipping address (email address for FREE digital inspection copy), phone number, title of book, instructor’s name, title of course the book is being considered for, and estimated number of students. Instructors are provided one complimentary desk copy of any book adopted for a course use if 10 or more copies have been ordered by the college bookstore and the instructor has not previously received a desk or examination copy. Requests for a desk copy may be emailed to sales@millenniumhrmpress.com or faxed to 206-600-4619. Desk copy requests should be sent on departmental letterhead and include shipping address, phone number, title of book, instructor’s name, email address, title of course the book is being used for, name of bookstore where text is sold, and estimated number of students. Be the first to review “The Craft of Public Administration (11th Edition)” Click here to cancel reply. 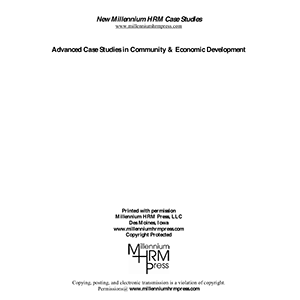 We take pride in our wide selection of highly respected and requested public administration and nonprofit management case study texts. All of our publications can be delivered to you within 2-3 business days. Millennium HRM Press, LLC © 2019. All Rights Reserved.